Many of you may read the frum picture papers these days and see lots of pictures of Rebbes/Rabbonim out in the wheatfields of the "fruited plain" cutting wheat, riding on those big old International harvesters and sifting through kernels. You see them in the blazing sun, whether locally or in Arizona, and you see them in their tish bekitshes, and you say to yourself: "what mesirus nefesh they have for their scruples!" To sit out in the 115 degree Arizona sun in the black clothes can only stem from true love of and connection to G-d! ! Well, my friends, it seems like the fear of the digital lens has forced many of them to dress up for the camera. It looks like in the old days, when REAL people roamed the earth, things were a little different. They acted natural, just like they would when others were not around. The proceeding pictures prove my point to a degree. 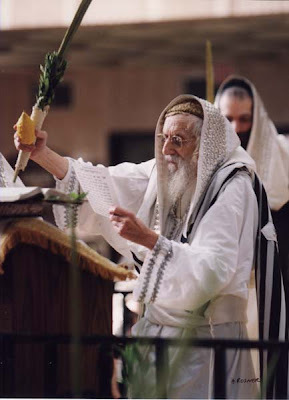 Pictured here is the old Kopycynitzer Rebbe, Harav Avrohom Yehoshua Heschel, zt"l, at one of those wheat-cutting ceremonies. THE PHOTOS HAD TO BE REMOVED DUE TO ---- WHATEVER, NEVER MIND. Would any Rebbe today be caught dead in the presence of a burly old man with an undershirt and straw hat? And the classic car in the background, it's beyond classy. Where have those days gone?! The shades, man, The shades! When did the PR wonks decide that it was taboo for Rebbes to act like human beings when their predecessors didn't see that way at all? Is it all for lack of substance? There's some truth to that. Take away the substance and you're left with zero, hence the need for trappings like never before. Big bowls of fruit in 10,000 dollar bowls, and $3 Kedem wine in $5000 dollar decanters... Kind of like the empty Bekitshes who grace the picture pages of today. There were times as a bachur that the Tzig had to deal with swarms of snags and others that would pounce on him, thinking him to be weak and separated from the pack. They thought that he would just give up on Lubavitch and leave them be. His sheer existence was enough to make their blood boil, and they let him know, on numerous occasions, how they felt about the group that he attached himself to. It may not have gotten to the point where a mob came up to the hill and was about to lynch him, like they did to the Breslovers in Berditchev, but it was bad enough for a young bachur. If you think that it was limited to hot-headed bachurim, think again. Even the supposedly mature, and the Roshei Yeshivos and Rabbonim that you see on lettuce with bugs Kol Korehs, they can also get into the act. They couldn't help themselves; it was an opportunity to show the world who's in charge. Who knows? maybe I would do the same if I had a chance. I thought I was over all that, but it seems like it's all coming home to roost now. Listen to this story and tell me if this man was well-meaning or not. You can probably tell that I'm not a big proselytizer. I do my thing and don't try to convince anybody to do the same. Yes, I'll knock your derech, but only in self-defense, yet others are not so generous or understanding. I remember when upon returning to New York after a year in Eretz Yisroel I tried to get back into one of my former yeshivahs. I was what you called a "good kid," not someone who made trouble, and definitely not someone who would ruin the reputation of the yeshivah, but the one in charge wouldn't have me back. He said my group loyalty was not where he wanted it to be; he didn't like the fact that I was a Lubavitcher. So, rather than mope and be upset I went on to a better caliber yeshivah, and that was that. Other people in my shoes would probably never forgive him, but I did. Not only that, but whenever I see him I smile nicely, and he does too. He even invited me to his daughter's wedding years later! This blog would be the ideal place to even with the score with him, but I'm just not that type of guy. I might also add this: When it comes to anti-Chabad attitudes prevalent in Judaism today, some of the most "anti" are the former Chasids who either left the Chassidic world completely, or those who have very strong ties to the Yeshivishe/Litvishe world. For some reason - and we know why - they need to affirm to their current peers that they're really not part of those silly kugel-fressing groups anymore. Some Lubavitchers are that way too, but let others speak of that, here we'll speak of my experiences. Which reminds me; I once this Rosh Yeshivah who was - you might say - a Rebbishe kind, but who lost his way and ended up learning in a Southern New Jersey Yeshivah many years ago. The Rosh there was no lover of Chabad (maybe because he was FROM there) and seemingly passed on that "love" to his disciples. This RY seems to live in both worlds in his day-to-day life, hopping fences like he was a crazed jackrabbit being chased by that old man with a rifle who can't pronounce the letter "R." Yet, when it came to Chabad he remembered his alma mater and could not help himself, going as far as telling a young Chabadniks parents that their son's Rebbe choice makes them "Umglicklach." Nice, no? Yet the Tzig bears no ill feelings to that old fool. He goes on with his life, trying to feed his family and serve the one above. Rather, trying to stay out of trouble and not have the bank take his house away from him. Others in his situation would foam at the mouth when mentioning his name, I laugh. Why then do I remember, you ask? Simple. I remember because it was a part of my life; a part of what shaped me, a part of what made me what I am today, for better or for worse. Maybe if I had better experiences with these types I would respect them a bit more. The proof lies in the fact that I'm willing to give these people a chance, that I'm willing to have my son in such an environment, even if it is only a summer month. I recognize good people wherever they may be, and don't keep my head in the sand. I'd like to see some of you geniuses do the same with your prized possessions and then get back to me about how understanding you are. Oh! and claiming to have the monopoly on all things Jewish won't cut it neither, not here not ever. Until you can learn to appreciate other approaches put a sock in it. All of you. I'd like to apologize to my faithful readers for being slow in posting this week, there have been numerous impediments, most of which we've overcome, b"H. I hope to continue from now on a more steady pace. In my humble opinion part of the growing-up process is readjusting many of your long-held beliefs. If it hasn't happened to you yet, and you think it should have, then you need to get out more and broaden your circle of friends. Just listening to nonchalant conversations can do wonders for you. Meeting different kinds of people helps too, as well as actually striking up conversations with them. The same goes for all of you too. One of those beliefs may have been that only you and your friends have ALL the right answers for every problem that may arise. Once you get out you may realize that surprisingly enough there are others that may have better solutions. In the realm of chinuch there are many different approaches when it comes to raising children, some more strict than others, all seemingly with the same end goal, yet with very different approaches and success rates. In America, or at least in New York, the yeshivishe oylem has taken the approach that what can be taught mit shlechten can be taught mit gutten as well. There's no need to beat the fear of G-d into children when it can be done with love and respect. They've decided that the fact that a child is drawn to the more mundane doesn't mean that he won't outgrow it as an adult with just a nudge in the other direction. I dare say they have it right. They allow kids to be kids, and even when there is an issue later on allow him to be an adult. For some reason that has been lost on the Chassidishe/Hungarian crowd. I guess they see their record and deem it a success. The fact that they all dress the same is all it takes; that says it all. If only it were that simple. If not for the fact that mosdos today are afraid of the authorities who knows what would happen, kids might be just as terrified to go to yeshiva as they were 20 years ago. There are signs that things are changing, and maybe not for the better. The Israeli influence has taken over and many parts and it now has become fashionable to go around screaming about infractions that we could look away at, since we knew that in the greater scheme of things they don't really matter.You may have read the blurb about the Tznius gathering in Lakewood at which hundreds and maybe thousands attended. The fact that they gather to discuss it is a good things, although it probably is one of the things which HaTznius Yofoh Lohem, but the tone and the "ideas" that came out of the meeting is what bothered me. Not to knock anybody personally, but the fact that brought Rabi Waxman from Monsey, a somewhat angry fellow, shows me that the undercurrent is one of anger, and that's never a good thing. People who are angry generally have ulterior motives or are insincere, it's not K'vod Shomayim they're after, and the whole idea is then for the all the wrong reaons. All that is beside the fact that it's mostly preaching to the choir. This and other happenings tell me that all those years of bachurim (and meidlach) learning in Israel and feeling inferior to their brethren and sisteren (is that a word?) there has taken its toll, and the days of easy-going friendly chinuch in litvishe circles may be limited. I certainly hope not. I like the fact that the melamdim are friendly to the children while still imparting good values and maintaining the necessary between Rebbe and Talmid. It works wonders for children for years to come. If that were to change, and they'd become like the nervous Hungarian melamdim I had then we're in great trouble, because there would be no respite from the chinuch terror that goes in some places. Having said that, when it came to choosing a day camp for my son, I chose a yeshivishe place that I was very happy to see had good, frum, yet happy-go-lucky Rebbes and direcors. That's right. Hirshel Tzig's son is in a yeshivishe day camp. Chabad has no camp in my town. He'll survive with his Lubavitchkeit intact, G-d willing. I don't think I've ever seen a more disheartening document in my life. 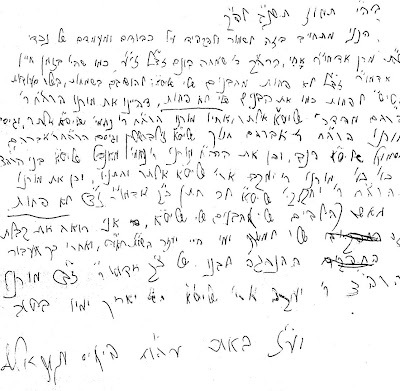 I've heard that RPMA was made to sign this before his brother's Levaya by his nephew, the current Gerrer Rebbe. If this is true then I'm left speechless. Whom are you gonna defend here, and what justification can there possibly be? I've also seen a document where RPMA signs over the chair of Gerrer Nesius to his brother's son and subsequent heirs, and relinquishes any claim that his children may have to the Gerrer Rebbistive. I belive that document was signed before the Levaya, and IIRC, the Levaya was delayed until the signing of that document. 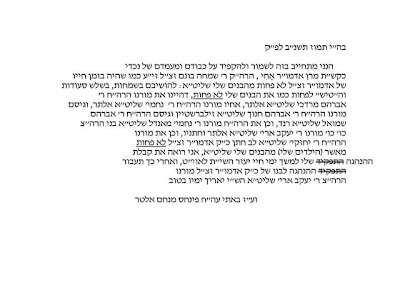 The paper here seems to have a date of Yud Tamuz attached to it, three days after the Lev Simcha passed away. What can be wrong with a story like this? after all, the man supposedly went from being totally frei to a Shomer Torah U'Mitzvos, complete with a beard and peyos! And we all know that the Torah way is the only way, so why does it matter if the "Samech-Mem" is as high as he says or not? But if all this is made up, then there could be trouble. Why would I suspect him in the first place? Maybe it's the silly special effects that turn me off, The looking around that he does during the filming; He seems to be trying to remember what his story is. I don't really know. Or it could be the proselytizing that goes on towards the end, the request for donations, and the plugs for his Tzaddikim. It brings back memories of the so-called Dybbuk extraction in 2000. Some of you may wonder why "G-d sets up for failure,"c"v, like was asked in the comments here. You believe the whole story here because it's so similar to what the Reishis Chochmah says, but you wonder why the person is judged so harshly for what seem to be natural acts. Especially in the case of this young man, who knew nothing about Yiddishkeit when he died. I wish I had the answers. But if this whole thing is a fraud then why worry? I figured if Barack Obama and John Kerry could have a Yarmulka with their names on it, why not me?! So, after hearing that Tuvia's in Monsey does embroidery on the spot, I decided in the store that I would get myself a nice big one with my name on it. I was there anyway. This is the finished product: a Size 10 (you heard right) Russishe/Litvishe Yarmulke in all its glory. I'm of the opinion that even if you do advertise your product or service, you still need to do it in an authentic manner, hence the traditional headcovering, and not a more modern one. From what I hear the owner of the above-mentioned establishment is no fan of Chabad, and he told me that his brother is in charge of Mechon Mishnas Reb Aron, so I wonder if he'd be happy that he supplied me with the Yarmulka. Which gets me thinking: maybe I can have these mass-produced and sell them to my loyal readers for a nice profit? Throw in a T-shirt, perhaps, and make it a set? What do you guys say? 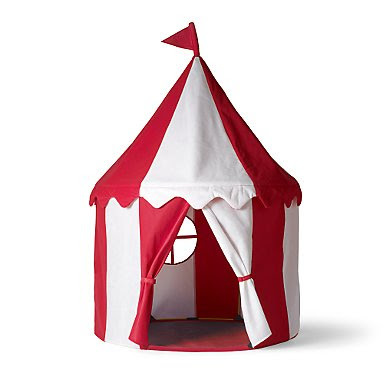 Maybe I can have the shirt and yarmulka have "I read Circus Tent" emblazoned all over it! That would make some kind of statement. Why do we make it so easy for them? Some of you may have seen the article about the girl from KJ whose father is a Lubavitcher BT, and mother is a Satmarer woman who left her Lubavitcher BT husband for a better life in KJ. At least for her it was better. For the daughter it sure wasn't. She's (the daughter) now divorced from her car salesman husband and in a custody battle for her child, whom she sees often. While I try and steer clear from stories like that this one lends itself to so much introspection. And since it involves both Satmar and Lubavitch I believe there's enough blame to go around. Yes, you heard me, BLAME. You can look at the story and wipe your hands of the whole thing by saying that she needs to get on medication, and that things like will never happen to your loved ones, but nothing could be further from the truth. What we learned last week from all the Lubavitcher coverage in Charedi publications - both Hebrew and English - is that magazines and newspapers are basically afraid of their shadows. They sit there and worry about the lone loser who's gonna be upset that they covered Lubavitch on 3 Tammuz or any other time, and will cancel his subscription, or - gasp! - call and complain. Most people have the intellectual capacity to understand that his or her point of view is not the only one, and he/she can understand that for the sake of unity it makes sense that this group of people and what goes on in their community needs to be covered as well. Once they understand that they can deal with the fact that group A, who they so despise, needs to have a bone thrown to him every once in a while. Otherwise, what you get is people sick and tired of the same group - with questionable achievements - being covered over and again, and you end up losing. What seemingly placed Rabbi Groner apart from the others was the fact that you could not ignore him. I don't mean physically, although his build was imposing, I mean his presence. It demanded attention and respect. Even the greatest adversaries of Chabad had to accept and respect him, because they knew there was no pushing him aside. His passing was and still is discussed by all who knew him. 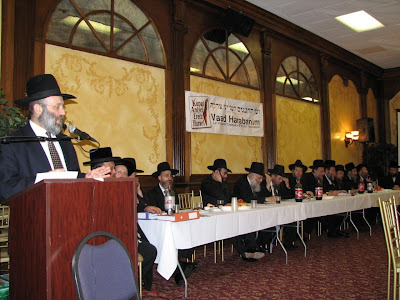 Somebody here mentioned the Rayim Ahuvim Shtiebel in Brownsville, and that we would be remiss if we wouldn't mention it in a tribute to RYDG. We can draw parallels to Rabbi Freifeld and to what the two of them grew to become and accomplish. As I sit and think about it the parallels are so scary that it seems each one of them could've taken the exact same path. If my memory serves me right, both RYDG and RSF were born in 1925, one in Brownsville and the latter in East New York. A stone's throw from each other. Both attended YRCB in East New York, then in its beginning stages under its new charismatic leader, Rav Yitzchok Hutner. Both were giants of men, physically that is, and both went and built large and unique institutions. People here have questioned Rabbi Groner's kesher to YRCB, but it was very obvious in everything he did. His breitkeit was unheard of Chabad, there's really no other "excuse" for it other than Rav Hutner. Maybe he never or seldom spoke of those days - just as a former Lubavitcher might not have spoken of his Lubavitch days - but it was with him. Both took the lessons they learned from their childhood shtieblach and applied it to their everyday lives, RSF more so than RYDG, but that can be understood, since he didn't have a group of old time Jews in his life like Groner had in Lubavitch. As I've said in recent posts, I'm upset that Chabad has given up "chapping" others, so I've decided to take matters into my own hands. Start them young too, if you know what I mean. No well-established school would take me, so I went to this little school and put on a good show. They hired me. I'll have 25 Lubavitchers in no time!!! I figured if Stolin can send in two of theirs to recruit why not me?! Two of the others listed there are Stoliners, and they're into "recruiting" too. Lots of Lubavitch stories and pictures in almost all Charedi printed media outlets this week. I would maybe doubt the story, because of the website it was first published in, but a good pal of mine from downunder confirmed it with the Baal HaMa'aseh. I also don't intend on making "my Rebbe great," I was just taken by the point that the Bobover Rebbe, who some may think was upset at Lubavitch, also "knew" where to turn to in a time of need. The Bobover Rebbe, Harav Shlomo Halberstam of blessed memory, was holding a Melaveh Malka in his shul in Boro Park. All the Chassidim were dressed in shtreimlach. Pinchas Woolstone, who wore the simple black hat of Chabad Chassidim, felt somewhat out of place. Reb Pinchas, of Sydney, Australia, would visit New York from time to time. On this occasion, a friend of his who is a Bobover Chassid invited him to join the Melaveh Malka. During the meal, the Bobover Rebbe turned to Reb Pinchas, who had been introduced to him as a Chabad Chassid. He said, "I wish to make you my emissary for a mitzvah. A while back, a certain couple in our community developed problems shortly after their marriage. The wife argued that she cannot continue to live with her husband. During the next few months, her family tried everything they could to restore peace between the couple, but were not successful.” The family could not make peace with the fact that their daughter wanted to divorce. They pressured her very strongly to stay with him and try to get along. The young woman’s life became a misery. She could not contend with life with her husband, and found no support from her parents either. At a certain point, she apparently reached the end of her rope and ran away. No one knew where she had gone. Her parents, naturally, were broken and confused, and her husband, who was prepared to grant her a divorce and move on with his life, found himself in a bind. "I would be very happy," concluded the Bobover Rebbe, “to receive advice from your Rebbe on this matter. Would you help me and give him the message for me?" Reb Pinchas was happy to agree. A few days later, he approached the Rebbe and asked for a blessing for a safe trip back to Australia. At the same time, he gave over the Bobover Rebbe's message. The Rebbe listened carefully and then answered in a brief sentence: "When you get back to Sydney, make sure to fly to Brisbane!" The Rebbe gave no further information, but this was enough for Pinchas. As a Chassid, he was prepared to carry out the Rebbe's instructions. Within a few hours after landing in Sydney, he was already on a flight to Brisbane, an Australian city about 900 kilometers north of Sydney. He did not know exactly where to go or what to do once landing in Brisbane, but was sure that the purpose of his trip would soon make itself clear to him. On the flight, a woman sitting next to him turned to him and said, "Excuse me, you look Jewish. Can I ask you something?" Reb Pinchas nodded politely. "What relationship do Jews have to Jews who have left the faith?" Reb Pinchas examined the woman's face to see if she was perhaps referring to herself. But the woman looked decidedly like a non-Jew. "I am the manager of a women's clothing store in Brisbane," she explained. "Recently, a Jewish woman came to my store asking for work. I hired her, and after a certain period of time we became close. She confided in me that she comes from a religious family and for certain reasons she ran away from home and has distanced herself from Judaism. I am curious to know how you relate to this woman." A red light began to flash in Reb Pinchas's mind. He strongly suspected that she was speaking about the woman he had been sent to Brisbane to fine. "Look," he explained to the woman, "Judaism teaches us to respect and care for each Jew, regardless of their level of observance, and to help them return to the right path. I take it from your question," he continued, "that this woman is alone in Brisbane?" "You are correct," she answered. “She does not seem to have any friends." "If so," he said, "perhaps I can help her. She probably could use some assistance in acclimating herself in Australia, and I'm sure she wouldn't mind connecting with some Jews. Can you give me her name and address?" The woman agreed and gave over the information. The name was not familiar, but Reb Pinchas was sure that whoever was guiding him along until now would help him reach his ultimate goal. 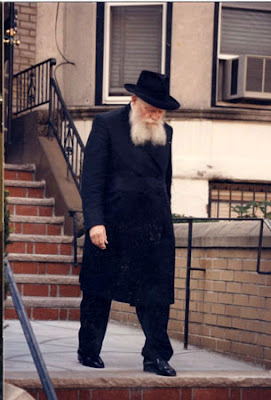 As soon as he landed, Reb Pinchas took a cab to the address the woman had given him. His first meeting with the woman he was seeking was not easy. She became distraught at the sight of a religious man and at first refused to have any contact with him. However, Reb Pinchas did not give up. He told her that he had found her in a miraculous way, after following the Lubavitcher Rebbe's advice, and that he would not do anything against her will. Slowly, the woman thawed out. She made it clear to him that returning to Boro Park was out of the question. However, she was prepared to accept the divorce from her husband, move to Israel and begin a new chapter in her life. So it happened. Reb Pinchas helped to arrange for the divorce and she moved to Israel. There, she settled down and found her place. Evenutally, she married a Chabad Chassid, also through the help of Pinchas Wellstone. Please note: the fact that the woman later "joined" Lubavitch is totally irrelevant, and not the point of the story at all. Where's the (Kosher) Beef Untervegens? When I first saw the post on Vos Iz Naies I thought: "hey! what a nice gesture on their part to report about the Rebbe and Gimmel Tammuz, they didn't have to." They usually speak about Lubavitch only when there's something exciting to report, like Rubashkin, or internal politics. Then, after some additional reading on my part, I realized that I had been quick to judge them. Not that it was a terrible post on their part - it certainly wasn't. But it DID totally miss the point of the Rebbe, and it sounded very self-serving on their part. Most of the accomplishments of Lubavitch that the author on VIN lists seem to be in the "creature comforts" realm. Be they a "geshmake beis hamedrash," or a Blaoney sandwich in Bologna, the author seems to be thankful that he needn't go without Kosher food on his travels, nor without a minyan. What bothers me is that it seems like the only reason Chabad became acceptable among their former adversaries is that they see Chabad as a harmless group. When once people were afraid that they'd be "Farchapt" by some mashpia they now don't worry about things like that. Are they right not to worry? Is there no "threat" anymore? that depends on whom you ask. Those who take the time to delve into Toras Chabad in general and the Rebbe's Torah in particular are just as "ripe for the picking" as before Gimmel Tammuz 5754. I myself continue to see Gutte Schoireh joining being "farchapt," and I mean Gutte Schoireh. They come because they yearn for a deeper understanding of things, and they find it in Toras Chabad and in the Rebbe. Yes, it IS more difficult these days, since the impediments are much greater, VeDaL, and you don't have the Rebbe's presence to make it all feel better, but those who can see the light are warmed by it. So the question remains: why are they not threatened, and why do they see Chabad as Baloney snadwich providers? Any thoughts? I have some. Many people in Chabad have forgotten about the MAIN mission that Chassidus has; to spread Toras HaChassidus. What we see now, i.e. the Shlichus apparatus, is second fiddle to the main fiddle if you will. I believe the Rebbe spoke of the need to be "mekarev yidden" only because nobody else is doing it. Which is why Chabad Shluchim teaches Chassidus to those they are mekarev; that's the ultimate mission. Yet, institutions like Heichel Menachem and other groups that spread Toras HaChassidus to the masses are seen as lower down on the totem pole of Lubavitcher activities. That should not be. We've become too comfortable, going for the easy ones, the unaffiliated. Here's what a commenter on Yeshiva World remembered about him and Chabad in general in Australia many moons ago. I was in Yeshiva College in Melbourne from 1957 till 1967. I remember Rabbi Groner very well. May I be corrected - I believe he was the first American born Lubavitcher in Australia. 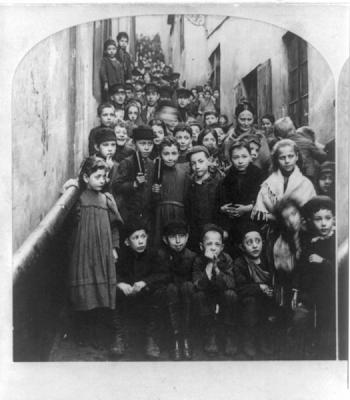 The other emissaries of the Rebbe were Russian born Lubavitchers who would regale us with true life stories of the hardships of being a frum Jew in Communist Russia - if not czarist Russia. Reb Zalman Serebransky - the fines Yid you could meet - and the one who got me started as a little boy on snuff on Shabbos; and sons Arel and Chaim. And the 6.00 am minyan in Yeshiva that I would go to with my father- where I got sick of alchohol at an early age- from drinking too much slivovitz (with herring) too early in the morning after minyan. And Reb Gurevitch who danced on Simchas Torah like no other person I have seen - somersaults and all - Lechvod Hatorah. 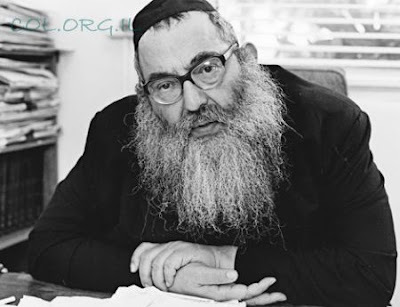 Rav Perlov - who was the Posek. My Father used to take him to the Adas Yisroel (Hungarian Kehilla) mikveh on Friday mornings before 6 a.m. I would tag along for the “dip”. My Mother used to buy fish for him and his Rebbetzin - which I remember bringing to their house. 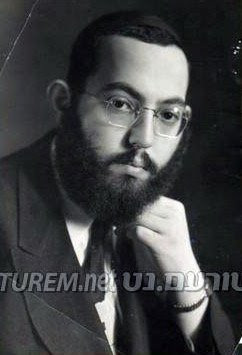 Rav Klugant - one of my Rebbes in Yeshiva. And Rav Althaus who had a Hotel(Chedva) in the Dandenong Mountains- about 25 miles out of Melbourne. Our family went there for Rosh Hashonah one year. They loved you with all their heart. Even when Reb Arel Serebranski would pat me on the shoulder in the school playgrounds (to check if I was wearing my Tzitzis!!! )it was done with love and sincerity. It was a beautiful place to grow up and live, having these Yidden as my first Yiddishe memories as a child. Thank you Rabbi Groner for helping create a Mokom for me to go to school and a place to Daven. It's been 14 years since that fateful day - many of us never thought we'd see - came and went. The sun came up the East next day and went down in the West just as always, yet for many of us the world was never the same. Despite being without the Rebbe for 14 years the love is there just as always - sorry, much stronger. We pass it on to our children too, and very often the love the children have is even stronger than those who saw and heard. Try and explain that to someone who has never had a relationship with a Rebbe, - any Rebbe - and you get blank stares; they cannot relate to it, and they jump to conclusions about you. I can sit here and talk about the rebbe's greatness in this field or in that field, but all that just hurts the "cause" I may be trying to further. All I can see is that it's shame on every Yid who didn't have a shaychus with the Rebbe, either through the Rebbe's Torah or by some other means. We have such a good thing, we have a Rebbe, and we'd like to tell all our friends about it so that they too can have it. Hobbes wrote that “the sovereign ruler is by definition above the law” and Jean Bethke Elshtain’s added, “laws take the form of his untrammeled will." Without a doubt this puts all of his/her subject as at a vulnerable disadvantage. Yet the absence of sovereign monarchs from the world stage puts us at a distinct disadvantage in terms of our relationships with HaShem. Lacking kings claiming “the Divine Right (to rule)” we are short of living breathing metaphors for the right of the Divine King. Every brakha containing the phrase Melekh HaOlam = King of the Universe, every Avinu Malkenu, rings hollow without any sense of the majesty, sovereignty and POWER of Princes. The article that inspired this post is here: http://www.nysun.com/arts/the-origins-of-power-jean-bethke-elshtains/80181/?print=6312584121 You may hate my post but click on the link and read this provocative review. It alone is worth the price of admission! Am I The "Heimishe Scotty?" This blog has become a heimishe version of Failed Scotty. We don't need an English version of Ponim Chadashos. And you are attracting the same host of misfits and malcontents that Sad Scotty attracts, thereby giving them a voice and enabling them to spread and reinforce their loserschaft. What is more, this blog is considered legitimate and they use its veneer of legitimacy to validate themselves. Is this why you came to Lubavitch? To become the online English version of the Ponim Chadashos? It, too, dredged up garbage from every community and bashed everyone else out there in order to prove that Chabad is the best. In the end, Chaim Shoulson (the infamous and lamentable baal Ponim Chadashos) turned on Chabad and reported Chabad internal politics as well until, from what I understand, Eli Teitelbaum A"H, among others, showed him for what he was. Now, his sad broadsheets run off as they are on Xerox paper, are not even worth a laugh. Every Chassidus, yeshiva and community has its problems. It's called golus (and some of the problems are the flip side of tremendous growth). Reporting on them and mocking other communities is no way to end this golus. Unless you can solve the problems, there is nothing gained in airing them to the world, 99% of whom, like myself, do not care about what goes on in Telshe or Chaim Berlin as we have enough dr-ck to deal with in our own immediate communities. Let the losers rant on. No one of any significance listens to them. Most are borderline mentally ill and need help R"L. The way to combat them is not to sink to their level. As the Lubavitcher Rebbe told Chaim Shoulson: "You should write good things about Jews for a change". You started out on the right track and then started to climb into the sewer. Time to climb out, and leave the rats down there to fight each other. Until then, Saygec Arosz, Bacsi!